When an investor is considering buying or selling multi-family Properties, it is essential that he find a multi-family expert for the area under consideration. Every neighborhood has unique cultural and economic characteristics setting it apart. As a full time Real Estate professional and accomplished Real Estate Investor in Hagerstown I have the experience in sales that specialize in commercial multi-family properties, with local experience in the acquisitions and dispositions of multi-tenant and single-tenant opportunities, property management, and strategic planning, by most standards I have an extensive knowledge and experience in the Hagerstown multi-family Market, I have Marketed and sold residential and commercial Real Estate and established affiliations with a variety of Investors throughout the United States, I am a customer driven Realtor dedicated to achieving results and providing exceptional service, I sold over 75 million dollars in Real Estate in both Commercial and Residential Real Estate. Getting the best value for your multifamily dwelling is obviously at the top of your list as a seller of property in Hagerstown, MD. Helping you to realize that goal is my most important job. I use the latest technology and current marketing statistics to successfully leverage buildings for sale for institutional investors, private equity investors, and individual owners. My winning solutions are responsible for fast, profitable sales, which are possible due to my level of experience in the multi-family market. I believe that I add undeniable value to each real estate transaction through my exceptional management capabilities and years of experience. The location of your multi-dwelling unit (MDU) is already predetermined as a positive factor by the majority of the buyers searching through your neighborhood for real estate. It’s one of the reasons why they are actively looking in your community. Showcasing the benefits of an individual address is a task best handled by a real estate agent with access to all relevant details. One of our goals is to help potential buyers look at the whole picture in order to visualize exactly what their purchase will mean to them. Any profitable real estate transaction begins with an investor or owner looking to sell, and it reaches fruition when a buyer is willing to make the purchase. In between, a few questions must be answered in order to optimize the value of your sale. Determining the market value of your MDU is a serious task that helps to ensure getting off to a good start with your intended sale. Our agents take the time to assist each client in getting this number right. Pricing your investment property to sell is an important element for a swift and successful sale, one that often gets better results than setting your goal too high. How can you boost the value of offers so that you get the best price? Getting the best price for your unit requires a good presentation. As part of the process to arrange for that to occur, you need to ensure its cleanliness, create excellent curb appeal, and make a few minor improvements. Together these elements combine to add value to your selling price. They are all relatively inexpensive and easy to arrange. Of course, aggressive marketing of your multifamily unit is going to lead to a number of potential buyers, some of whom are going to make a bid to buy at or near your asking price. How quickly your building is purchased depends on many factors, including how aggressively it is marketed and how competitively it is priced. 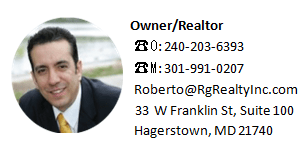 As a Real estate agent, I’m very familiar and have the experience in selling multifamily units in the Hagerstown area and understand the intricacies involved in this type of transaction and can bring each one to a successful close shortly after its listing has been arranged. We know that every property has its own sense of character, providing an exceptional reason for someone to purchase it on top of its investment value. Buyers are looking to find the perfect multifamily dwelling, while sellers are searching for the fastest way to sell their multifamily buildings with the greatest profit intact. Our real estate agents have the skills and knowledge needed to market a property efficaciously using community statistics, existing features within the home, and current market data to back up and support selling tactics, advertising, and marketing strategies.